Don Shepherd 8827 (1988) design for Blenko. 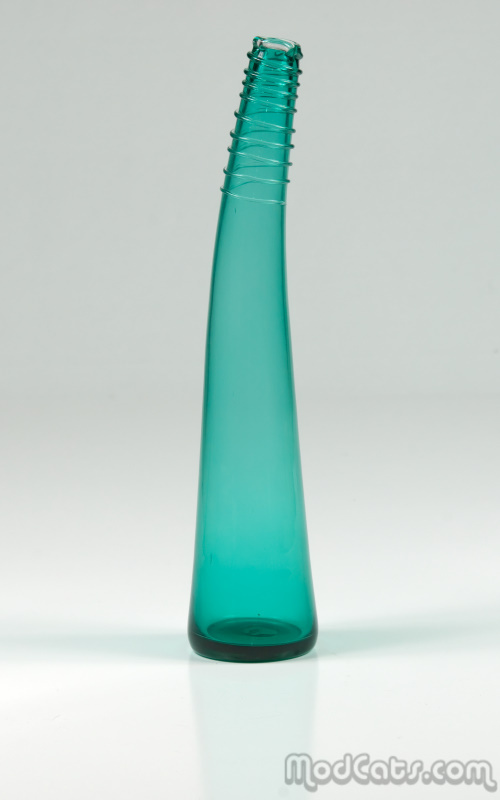 Clear spiral wrapped bent neck bottle in "Antique Green" (1988-1999). Great piece - difficult to find.